Oh yeah, we’ve been rambling a lot lately about the problems our beloved penguin Tux faces. We can’t really help it though, as there are a lot of issues Linux faces that need immediate attention. Well, we’re not talking about the elusive fat launcher in Unity nor are we complaining about the missing minimize buttons in GNOME 3. We’re just pissed about the fact that Linux, as of now, has no particular leader to take it through the tough times. Let’s say, for a day, you are given the power to choose a person to lead Linux. Whom would you choose? Before you start racking that rusty bean of yours, let’s consider the options. Richard Stallman is the ultimate nerdish power geek. He has a beard that is currently racing with Albus Dumbledore’s white facial furs to the shoes. Born in New York, Richard Matthew Stallman a.k.a. RMS is an MIT graduate. Apart from being fluent in C, C++, Java and elisp, he speaks perfect French and Spanish. Putting his ninjaesque coding skills to the test, he created a text editor called Emacs which sometimes doubles up as an operating system. Though his coding skills are well known, what really makes RMS stand apart is the vast amount of work he has done towards nurturing the software ecosystem. Honestly, if it wasn't for this guy, we would all be buying crappy software from 1000 different companies like Microsoft. He was the first man to really care about the user's freedom instead of the developer's bank balance. He also developed Copyleft, which is a form of licensing used to maintain copyright conditions for works such as computer, software, documents and art. And that's not all, he has lent his voice to oppose various social issues that degrade the modern society including war, injustice and over-capitalism. RMS is a staunch believer in FOSS philosophy. He won't compromise his values under any circumstances. Well, not that it is a weakness particularly, but in this context, it is. If you were lucky enough to attend UDS, or curious enough to watch Shuttleworth's speech there, you must have noticed a point he made during the conference. He said that in order to take Linux forward, that is, to put it in the hands of the general public, one who leads the ship must be ready to make certain compromises. And these compromises must be made even if they conflict with some of our very core values. Maybe Shuttleworth, as he is learning with experience, will be able to make these compromises, but seeing RMS do something like that is far from being likely. 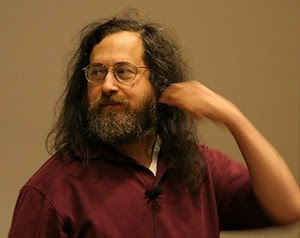 We don't and we can't blame RMS for this, but, Linux needs some minor compromises to be made. As of now, we don't see RMS as a Benevolent Dictator For Life. How can he help/lead Linux? He has already helped Linux in many ways. However him, leading from the front, seems very unlikely. RMS is a laid-back, down-to-earth fun guy who won't simply take up this huge responsibility at such a late period in his life. His priorities are different, that is, Copyleft, GNU and political activism and thus he won't be able to help Linux even if he wanted to. Having said that, he might, if possible, lend a helping hand to anyone who decides to take Linux places. He has already educated many of the world's most popular educational institutions about the pitfalls of using proprietary software. We just hope he continues his work. This guy probably had the coolest topic for an M.Sc thesis ever. His thesis was simply titled "Linux: A Portable Operating System". Linus Torvalds was born in Helsinki, Finland and was named after the Nobel Prize-winning chemist Linus Pauling. He also holds the rank of second lieutenant in the Finnish army, with the role of ballistic calculation officer. 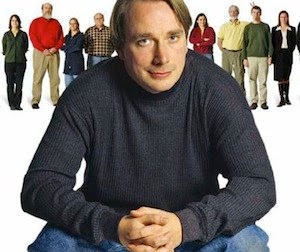 His biggest and most popular achievement of course, is the creation of Linux, the world's best operating system. Amongst his minor achievements, he had once written a Pac Man clone called Cool Man. Like RMS, Linus is popular among hackers, programmers and Linux enthusiasts. This man is so awesome that they've even named an asteroid after him. Quite like RMS, Linus is also a laid back geek. You simply can't imagine him doing what Steve Jobs or Steve Ballmer do. He's laser focused towards the advancement of the Linux kernel and as far as distributions are concerned, he's a frequent distro-hopper. Initially he was a KDE fan, then he switched to GNOME after KDE4 came out. Thus, it is quite evident that he doesn't align himself towards any particular project, not even the popular ones like Android. The best way Linus can help Linux is by contributing to the kernel itself. He will have to make major decisions in the future when new devices similar to tablets spring up in the market. All he has to do is make sure the Linux kernel stays stable and popular. This man has seen the world. And by that, we mean literally he has seen the world from outer space. He was the world's second self-funded space tourist. In 1995, he founded Thawte, which he then sold to Verisign finding himself rich by about $575 million. Then, he participated as one of the developers on the Debian operating system. Fast forward to 2004, he started the development of Ubuntu and founded the Ubuntu foundation by investing about 10 million dollars. Since then, he has taken Ubuntu to places the average Linux enthusiast could never have imagined. 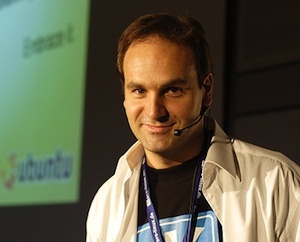 Even though Mark Shuttleworth has managed to make Ubuntu the most popular distribution ever, he has made some decisions that haven't gone down well with the Linux community. Be it switching to Unity, or moving Ubuntu buttons to the left overnight, there are people who completely disapprove of Shuttleworth's approach. Also, there are some people who think that he is relatively inexperienced when it comes to leading Linux from the front. As to how he wins their hearts back will only be seen once the future Ubuntu versions come out. How can he help Linux? The best way he can help Linux is by making sure Ubuntu becomes the best distribution around. This will promote a healthy competition within the Linux community prodding other distributions like Fedora and openSUSE to step up their game. This is similar to the effect Google Chrome had on Firefox and other browsers like IE, Safari and Opera. Shuttleworth is not overly competitive, in other words, he is open to other projects like KDE4 and now, GNOME 3. In fact, he is the first patron of KDE foundation. All we expect from him is that he continues to help the Linux community as a whole. Who should be the ultimate leader of Linux? So, after looking at all these people who are involved with Linux in many different ways, the million dollar question still lurks around – Who should lead Linux? Is he/she someone like Steve Jobs who can even sell a refrigerator to an Eskimo? Or, is he/she someone like Eric Schmidt who has a vast amount of experience in management? The question however, is fundamentally pointless unless Linux decides to tackle another major question first. That is, what exactly does Linux need? In other words, how can one bring together the Linux community? And if so, in what form will it be? The community, as of today exists in a state of an innocuous anarchy. To achieve what Microsoft, Google, and Apple have achieved over the years, Linux has to quickly transition from anarchy to democracy. Or even better, benevolent dictatorship. It is a long standing debate, in politics as well as management, as to which form of government is better. Is it benevolent dictatorship or is it democracy? If you have been using Ubuntu long enough, you must have noticed that the project has gradually transitioned itself from anarchy to benevolent dictatorship with Shuttleworth leading from the front. The Linux community similarly, is a vast reserve of untapped potential. In fact, many developers who work on Linux are hackers and are immensely talented at what they do. The only thing left to do is to bring these developers together and motivate them towards a common goal. If, at all there is such a leader, then this is the perfect time for him or her to step up and take the lead. 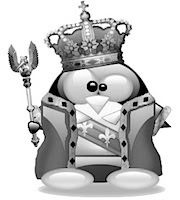 Your Opinions: So, what do you think about the lack of leadership in the Linux community? Is this state of anarchy actually a boon to the Linux community or is it making things worse? Also, do tell us who would you like to see leading the Linux community from the front. Will it be Mark Shuttleworth, Linus Torvalds, Richard Stallman, or someone else? RMS: "He won't compromise his values under any circumstances." Unless it means he has to buy his own lunch (or plane ticket per recent history). He'll gladly sacrifice freedom of speech to get his free lunch. How is RMS' weakness a weakness? He didn't compromise his core values to get us to where we are now, so why should he start? What a ridiculous article. Linux is a kernel, and 'leadership' is pure meritocracy: make useful stuff and you get a say. Just the way it should be. All these three people are already leaders, in their own ways: large groups of people listen to what they say. RMS leads several GNU projects, Linus leads the Linux (kernel) project, Shuttleworth leads Ubuntu. Also, look up the word "whom". RMS is a Harvard graduate. Cut his programmer teeth at MIT because he was able to walk into the open labs and this led to him becoming an MIT graduate student (but he dropped out of the program) and staff programmer. NOT Mark Shuttleworth. That would be the death of the Linux kernel as we know it. Why are we suddenly in a Linux kernel leadership crisis, anyway? "Linux is a kernel, and 'leadership' is pure meritocracy: make useful stuff and you get a say. Just the way it should be." Not sure what the point is of this article. "We’re just pissed about the fact that Linux, as of now, has no particular leader to take it through the tough times." First of all, what are these rough times that emerged that weren't already being tackled by the various open source and Linux foundations and supporting companies? Second of all, why is there a need for some leadership above and beyond Kernel development hierarchy based on proven skill and dedication via commits to the kernel tree? Just seems like articles like these are just pushing around drama between end users that aren't really involved in the development, maintenance, or legal issues involving Linux. Why is there a need for such pointless drama? Who's the best leader for Linux? Better yet, how should a leadership be formed (as if no one is currently 'taking care' of it - sarcasm)? Let the commits speak for themselves. Linux is not in a crisis. Linux will not be in a crisis anytime soon. Let's get back to hacking. I don't even understand the question. Who should lead what? What stemmed this article anyway? It makes no sense, at all. We aren't Microsoft or Apple with a supposed benevolent dictator running the show. We have many leaders, this is our advantage. Thanks for the brief profile of these 3 guys. Mark is not the person to lead! His own Design Team For Ubuntu uses the Adobe Products and those who created omgubuntu use those same Adobe Products! Shame on the Author for even mentioning a person who does not think enough of Gimp, Inkscape etc to have his design team use them! That is why I'm attracted to Fedora since their Design Team does use Gimp, Inkscape etc... A leader has to have faith in what he is selling and Mark Proves he Does Not Have Faith with using the Adobe Products for his Design Team! How did you know that Ubuntu design team and OMGubuntu uses Adobe products?